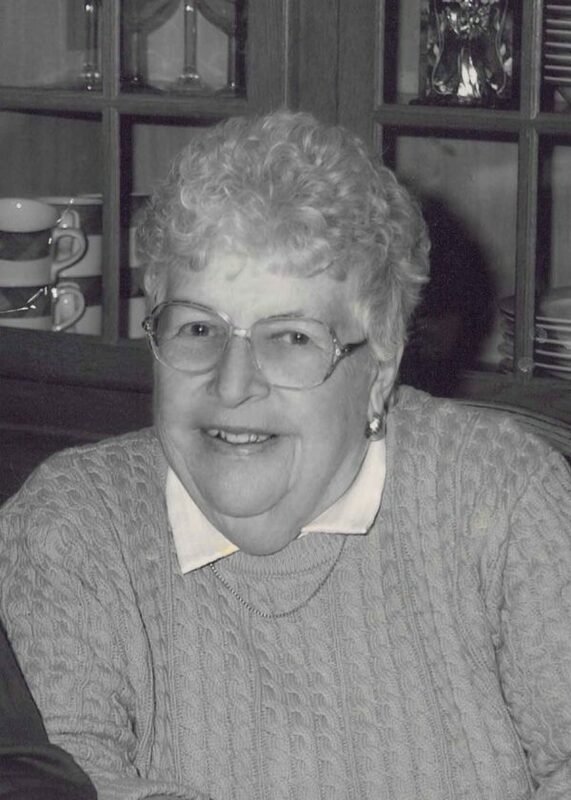 FLORENCE, Wis. — Elaine D. Rochon, 91, of Victorian Pines in Iron Mountain, passed away Saturday, Nov. 11, 2017, at Maryhill Manor Nursing Home in Niagara, Wis.
She was born April 12, 1926, in Florence, daughter of the late Herbert and Dorothy (LeFebvre) Christesen. Elaine attended school in Florence and graduated from Florence High School. She was united in marriage to John Rochon on Jan. 3, 1948, in Florence. He preceded her in death on Nov. 11, 2005. Elaine enjoyed reading, knitting, and especially the time she spent with her family. She is survived by two sons, Tom (Trudy) Rochon of Aurora, Wis. and David (Francie) Rochon of Iron Mountain; three daughters, Jacqie (Mike) Glime of Florence, Jill (Don) Newton of Boise, Idaho and Renee (Brian) Keehan of Green Bay, Wis.; one brother, Ron (Pat) Christesen of Iron Mountain; 18 grandchildren, 34 great-grandchildren; many cousins, nieces and nephews; one brother-in-law, Bruce Walstrom of Aurora, and one sister-in-law, June Rochon of Arkansas. In addition to her parents and her husband, Elaine was preceded in death by one sister, Mary Walstrom. In accordance with Elaine’s wishes, private family services will be held. You may light a candle in remembrance of Elaine or leave a condolence for her family online at www.jacobsfuneralhomes.com. The family has chosen the Jacobs-Lundholm Funeral Home, Florence, to honor Elaine’s legacy of life.